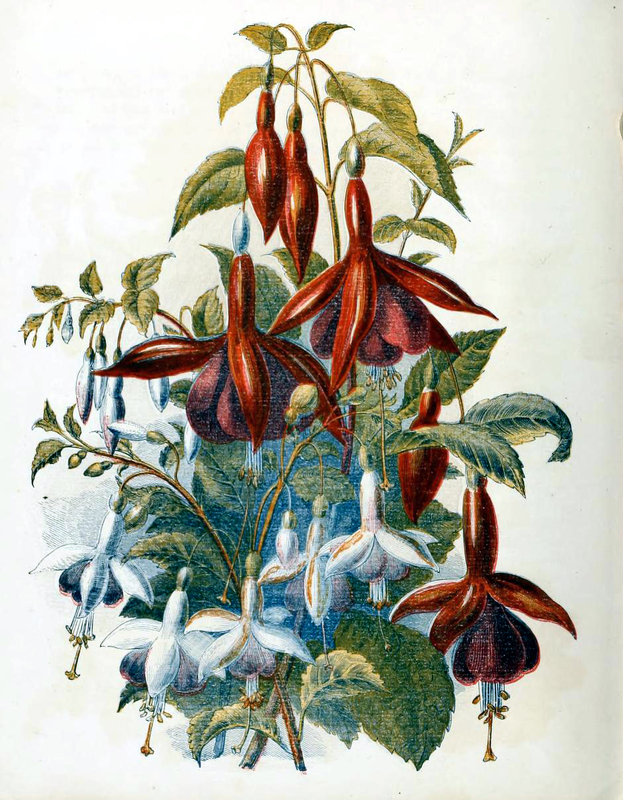 This free antique illustration of country flowers and fuchsias was curated and edited from the 1857 book, “A Little Girl’s Visit to a Country Garden.” This lovely book tells the story of a young city girl’s visit to the countryside with her Mother. This image is ideal for Mothers Day crafting and year-round creative projects. You may use this image for free in your personal and commercial projects without permission. A link back to FreeVintageIllustrations.com is required if you share or use this vintage image on your website, blog, or social media.